Lambs, daffodils, and warmer temperatures!! Spring is here and the ground is drying up. The fields are beginning to dry up enabling us to use all of our grounds again, the mud has certainly been a challenge for us all in terms of play area and having enough room. 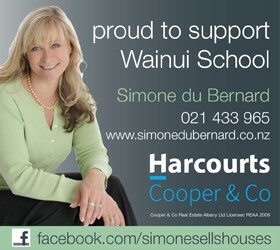 I congratulate the children of Wainui School!! They are respectful of this and relate well to this challenge ensuring however much of a squeeze it is, everyone gets to play. Our Wainui School student voices are coming up with all sorts of ideas for creating more play space. It is exciting to see children take this authentic issue and create ways to overcome this. Watch this space as they are suggesting some wonderful changes. New Zealands Principal’s Conference – I had the privilege of attending the New Zealand Principal’s Conference in Queenstown last week. There were over 700 other principals from across the country including the Principal from Silverdale School, and Orewa North. It was excellent to be able to hear and discuss issues that are affecting us all across New Zealand, and hear stories from leadership experts. The conference theme was “Remarkably different” focussing on just this – well being, leadership and challenge plus how things are for our young people. We had Mike King sharing his message around the youth suicide and how to help our young people, “cool to Korero”. Pete Burdon a media training expert “when your school is in the headlines”. Graham Henry and his story on self improvement, leadership under pressure and how he did achieve what he did with the All Blacks and as a high school principal. Minister Nikki Kaye shared with us her thoughts, the National Party’s priorities for Education and the key areas of focus; scrapping of deciles, digital curriculum, learning Support including mental health and, teacher supply and quality. Please feel free to ask me any questions or have a discussion if you wish. End of Term Clean Up!! – Please make an effort to find all your lost clothing and shoes and return them to your own wardrobes and closets. 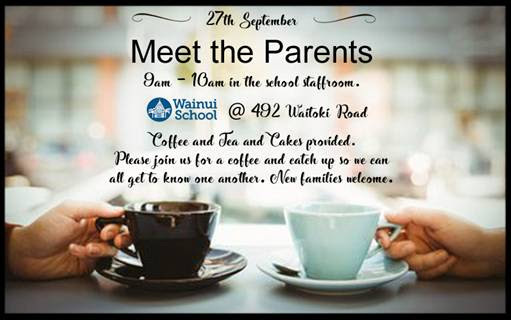 FOWS Morning Tea – Wednesday 27th September from 9 – 10am, all new families please feel welcome to join the Friends of Wainui School and myself for a cup of tea. 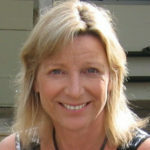 You can ask questions or just come for a chat. The Pukeko and Kiwi Teams Marvellous Musical Medley Performance – There is a 1.45 pm start!! This is a celebration of a terms participation and practice in a variety of musical activities. Attendance – Is collated and analysed by the teachers and then myself. Thank you to everyone who has requested special leave – this enables us to record correct attendance on the computerised roll system. Monday 16th October – Term 4 starts. 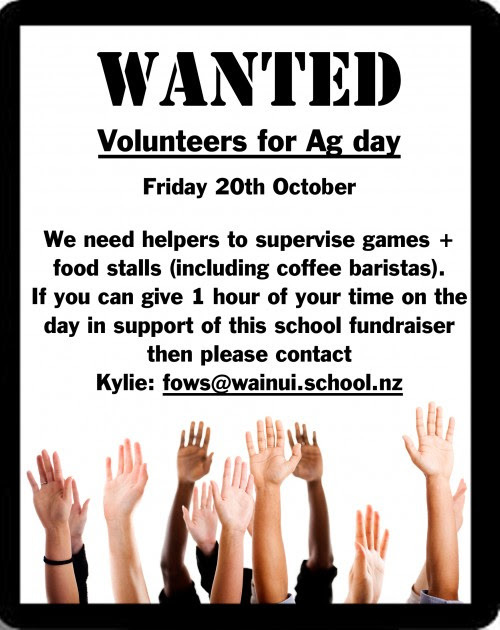 Friday 20th October – Ag Day and Country Fair. Remember, this is our biggest community day of the year. We look forward to seeing you all there. Thank you to everyone who has indicated their intentions school-wise for 2018. This is sincerely helping our planning for classes, teachers and spaces. By the beginning of the term 4 we will have this very much in place for 2018. Kapa Haka Uniforms – For the first time in many years, Wainui School will be sending a kapa haka roopu (group), of 24 children, to a performance festival. The Tu Maia Festival, which is being held at Orewa College on Thursday, the 30th of November, brings together a number of kapa haka roopu from various schools in the area, to celebrate the Māori culture. 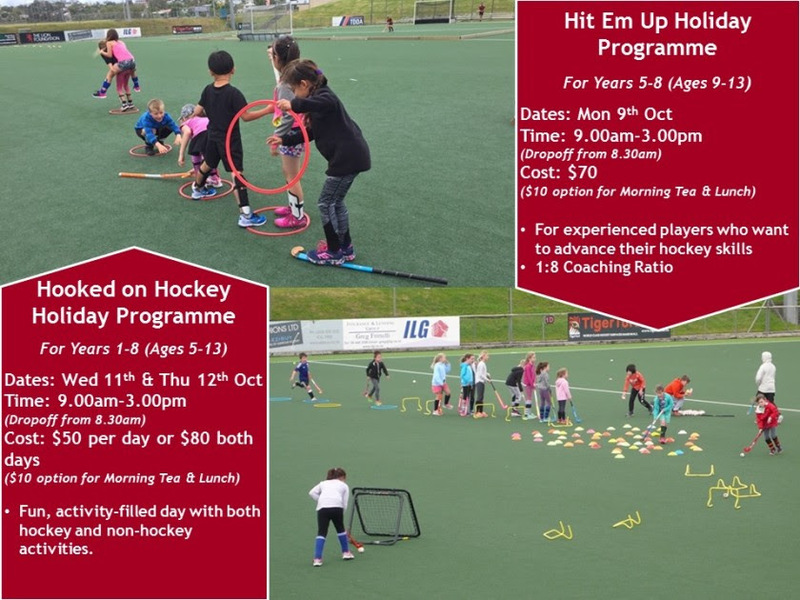 This is an exciting opportunity for these children, who along with their tutor, whaea LeeAnne Wade, have been working hard to practice and polish their performance. Unfortunately, the kapa haka uniforms that the school have, are in need of updating and repair. If there is someone in our school community who is handy with a sewing machine, we would love to talk to you about how you can help our kapa haka children look great and feel proud, when representing Wainui School on the stage. Please contact Jason Irvine on jirvine@wainui.school.nz if you are able to assist us. Ag Day – Remember to get your Ag Day Registration forms for your lamb, calf, goat or chick into the office by tomorrow, Wednesday 27th September. We will be handing out the Pet Eggs (they will be raw), on Friday 29th September so you can care for them over the holidays. Remember to bring in a suitable container with padding along with a gold coin donation on Friday to take you egg home. In this action-packed course, kids will progress through a series of custom Minecraft worlds, solving problems and honing their skills. Kids will be introduced to some of the more advanced features of Minecraft, while developing their teamwork and problem-solving abilities. Perfect for newer players and kids who have already completed Minecraft Inventions and Challenges. *To participate in this course, students will need to have their own Minecraft Account, which costs approximately NZD$33.00, and is not included in the cost of this course. Minecraft accounts may be purchased from www.minecraft.net. Students will need to bring their Minecraft account login details (username and password) to this course. Book online or call us on 0800 438 282.